Pam Harper: I’m Pam Harper, Founding Partner and CEO of Business Advancement Incorporated. And right across from me as always, is my business partner and husband, Scott Harper. Hi Scott! Scott Harper: Good morning Pam! 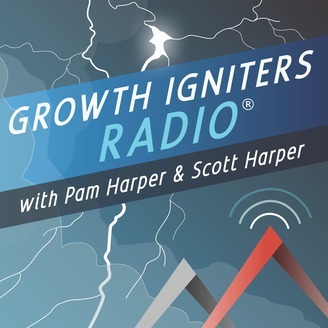 It’s great to join you again for another episode of Growth Igniters Radio with Pam Harper and Scott Harper. If you’re listening for the first time, our purpose is to spark new insights, inspiration, and immediately useful ideas for visionary leaders to accelerate themselves ? and their companies ? to the next level of growth and success. Scott Harper: Yeah, it’s a really kaleidoscope. Of course, there are all the forms that M&A can take. Then there are all the flavors of joint ventures, alliances, and other partnering, not to mention the various kinds of company restructuring that reordering that can go on. Running a business can be tough, but rewarding in the long run. Having said this, everyone needs a bit of help sometimes. This doesn’t mean that you are incapable of fulfilling your goals. It’s just things can be done more effectively when you get a helping hand. This is why another solution such as the investment in project management software can be beneficial to the growth and future of any business, as this is the main goal for all business owners. Anything else comes at a bonus. There are so many variations and choices that it’s almost mind boggling. Ben Gomes-Casseres: Well, thank you. Pam, I think my whole life has been a remix of sorts. Coming from Curaçao, which is a Dutch island in the Latin American corner of the Caribbean, we learn to remix cultures and ideas from birth. Essentially I’ve been working in this field now for 30 years as an academic, as a consultant, and as a professional. The field has really been about alliances, partnerships, acquisitions ? the ways in which companies reach out from their borders to other companies to create new value. Ben Gomes-Casseres: Right; that’s essentially what I’m trying to address, because it’s really a strategic question. What I mean by “remix” ? to clarify that a little bit, since I’m using it in an unconventional way ? the word “remix” come out of art or music where musicians will take tracks from one song and remix it with the tracks from another song and create something new. Essentially from a strategy point of view, when a company looks outside of its boundaries for new assets or for new capabilities or to gain access to some services that it doesn’t have itself, what it’s trying to do is to link that up with its internal assets and capabilities and in a way, remix that bundle. Ben Gomes-Casseres: In a way, it’s always been with us. If we go back in history, we will always find companies acquiring, merging, divesting, and forming joint ventures of various sorts. What I think has happened is that there’s been some important underlying trends around technology ? the rise of certain technologies, and also around globalization. Even simple technology developments have changed business plans. Basic things like looking at a guide to getting an 800 number that will make your business look more professional can help grow a business. The rise of important power centers, economic centers all over the world has forced everybody to do this kind of strategy. 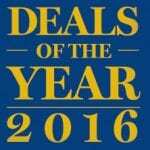 That has also expanded the types of deals ? the formats that we see through which remix can take place. Today we have not just joint ventures, which are traditional, but we have alliances of various sorts, and partnerships and sourcing and channel arrangements, and ecosystems that are very complex and involve lots of partners. That, in a way, is the old trend, but now coming on steroids at us. Ben Gomes-Casseres: Yeah, I don’t think there is an end in sight for it. In fact, I think that the notion that companies do things internally themselves and rely on their own best efforts is dying. I think that even the form of competition where we think of our competitors as another firm ? 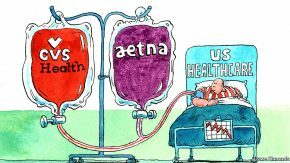 even that idea of one firm competing against another firm mano a mano so to speak, is also dying. Increasingly we have competition between groups of firms, between me and my allies and partners versus another firm with its allies and partners. I think that is the wave of the future, so we had better learn how to do this. Ben Gomes-Casseres: I think what’s powering it is the rise of so many new ideas and new business models and new sources of economic value. In every business today, we need to think outside of our traditional business to see really, not just where the competitors are coming from ? new competitors coming from different businesses and different industries ? but where the sources of new value can be created. There are more ways to create complementary 1+1 is 3 kind of combinations outside of our traditional industry. 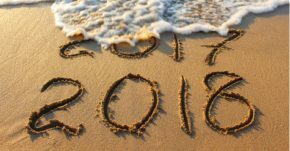 I think that’s again happening, not just because of technology and software, but also because of the rise of emerging markets and globalization as part of the important underlying trends that are driving this. 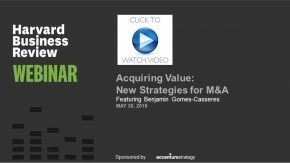 Ben Gomes-Casseres: It’s been an effort of boiling it down. I know that there are many complicating factors in any combination, any joint ventures, any merger. They range from cultural to personal to economic and finance, regulation, laws, and so in a way, it’s easy to get overwhelmed by the complexity. At the same time, when I look at the research ? and I am a researcher as well as a practitioner ? when I look at the research, there are some important ideas. Pam Harper: Welcome back to Growth Igniters Radio with Pam Harper ? that’s me ? and Scott Harper. 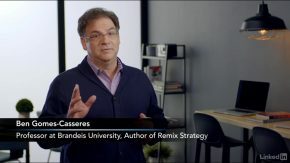 Today Scott and I are speaking with Ben Gomes-Casseres, author of Remix Strategy, about creating maximum value from new business combinations. Ben, how can people find out more about you and your books? Ben Gomes-Casseres: Yes, thank you. The three laws are ? they’re going to sound simple, but they’re complex to apply ? the first law is really that there has to be the potential to create value from the combination. This means the usual “1+1 = 3.” I use that little math, and I’ll have other ways of thinking about the other laws that are similar to that. But 1+1 is 3 really means that when I take my capabilities and assets together with someone else’s capabilities and assets ? however I combine that, either through a merger or an acquisition or through an alliance, partnership, or other form ? we can create more value together. That means either better products, better quality, more innovation, or sometimes lower costs ? any way of increasing the growth of our business and the efficiency in our business by working together with a complimentary set of assets that so far are still outside our firm. Pam Harper: So, for example, if we see our core competency as IT services ? just for example, it’s not, but just say it were ? and another company was IT services but maybe a little different, would that be something that would be harder for them to find that joint value, or would you say ? how would they navigate that? 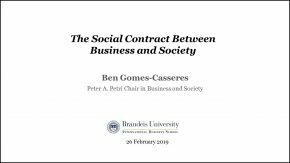 Ben Gomes-Casseres: Absolutely. We also know therefore what’s important to keep our eye on in terms of integration or better coordination ? those important assets that need to be combined in some way. Ben Gomes-Casseres: We are us ? that’s exactly right. That, of course, becomes more and more challenging the more difference there is between us, and the more diversity there is in our grouping. If we have multiple partners then that becomes an even greater challenge, but strategically we might have to do that in order to grow and to innovate. Pam Harper: Where we see it is there’s the most potential for misunderstanding. A lot of people talk about the idea of being an “alliance,” and it’s not really an alliance. That’s what I like about your book so much ? you really describe this, all the different forms of relationships and what goes into them. It clarifies on such a profound level. Pam Harper: Now let’s talk about the third law ? it’s about sharing the value created? Ben Gomes-Casseres: The third law, again, will sound simple, but it’s hard to implement and to master. The issue here is that we have the potential to create value; let’s assume that ? law #1. We’ve found a way to design and manage the collaborations so that that value, in fact, can be realized ? that’s law #2. Now we have to split the pie, not in a confrontational way, but each party must earn something from their contribution, otherwise they will not have the motivation to continue to contribute to it. The third law really is to share the value in a way that maintains the incentives and the motivation of both parties, or three parties or however many, to continue to contribute to it. The simple formula is not 1 and 1 = 3, it’s not 1 and 1 is 1; it really is 1+1 equals ? now it gets complicated… 1.4 plus 1.6 or something like that. It’s some division of value, and it doesn’t have to be 50/50. Obviously many partnerships are not 50/50. They could be 40/60 like I just said, or 20/80 or some other formula, but we need to be able to divide and let each stakeholder, in a way, earn their fair value of what they contributed. Pam Harper: If you’re finding this discussion of getting the most from your business combinations useful, we invite you to download our free special report “Building Powerful Strategic Alliances,” which is very complimentary to what we’ve been talking about. We developed our findings and conclusions based on responses from senior executives in over 15 industry sectors. While strategic partnering is becoming more important than ever before, over half of the senior executives we surveyed were dissatisfied with the outcomes ? they needed to read Ben’s book. [laughter] Find out why and what we found out you can do to increase your return on your partnering investment. Pam Harper: Yes ? I see so many people who will say, “I met this person; they were great!” Just like you said. And, “This really seems like a great idea for us! I hadn’t thought of it before.” The first thing to do is go back to your strategy and test the fit. Ben Gomes-Casseres: Absolutely. Go back to your strategy, and some of the questions that you ask yourself may be tough to ask, if you, as you say, are infatuated with the idea ? but it’s due diligence that needs to be done. At the same time, the other part that may be hard is sometimes to even explore options with other partners or potential partners. That doesn’t mean go out and negotiate with 5 people at the same time. It just means strategically to think through before you tie up in some way, that you understand that this is actually a good fit, it’s a good strategic fit, operational fit, economic fit, and of course, personal fit. Don’t rely purely on the chemistry factor. That would be one tip. The second one is ? and I actually wrote a short blog about what we just discussed, and there’s another one that I just recently wrote about, which is that the contract is too important to be left to the lawyers. The contract, or however you define an arrangement that’s put on paper ? what matters there is how you manage it; and what matters there is the business model behind it. Therefore, it’s not going to be all in the fine print. Even though you have good lawyers, they’re not going to be able to solve all of the challenges that a partnership will face in the future. In fact, we know that all contracts of this sort are in some sense incomplete. They, in some sense, have gaps in them that will need to be addressed by managers that are working together well in the future. One of the causes of failure that we often see, even though an alliance may be managed well in a way at the interface between the parties, ? sometimes internal coordination between our different levels of management perhaps or different functions that need to contribute to the totality have to be addressed. Or others may feel threatened by the relationship from inside the company ? all of those issues need to be brought in line in order for this external relationship to work out. Scott Harper: What conversations do we need to start today ? Inside and outside our company ? to determine how we can create even more value in our business combinations? 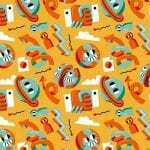 Podcast and transcript © 2016, Business Advancement Inc. All rights reserved.